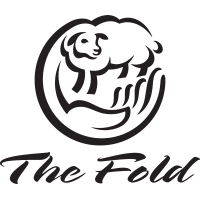 A very good friend of mine worked at The Fold in the maintenance position for many, many years. He left and I had been thinking that God had designed me to do something like this. A couple months later The Fold had offered me a position overseeing our buildings and grounds. Hannah and I have always felt a strong calling to youth ministry. A missionary who was serving at The Fold sent out a newsletter which we read and connected with. It wasn’t long until we were on campus experiencing God’s transforming grace in these students’ lives. It was an instant fit for us.